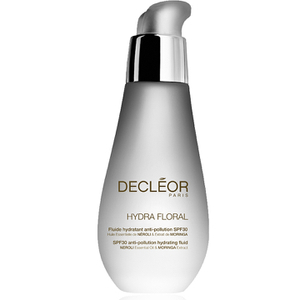 Deeply hydrate your complexion with the Hydra Floral Moisturising Gel from DECLÉOR. 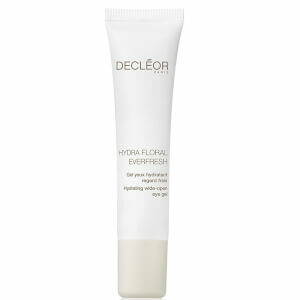 With a 70% water-based texture for optimum hydration, the lightweight gel delivers a floral fragrance of Neroli Essential Oil to leave your complexion calm and comfortable. 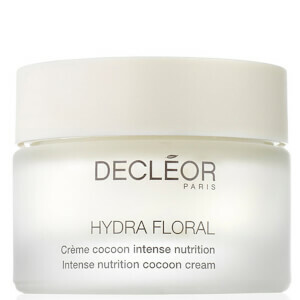 Fortified with Moringa Oleifera Extract, the silky gel-cream creates a protective veil on the skin's surface to defend against pollution particles and dehydration, whilst anti-inflammatory Centella Asiatica soothes and restores luminosity. 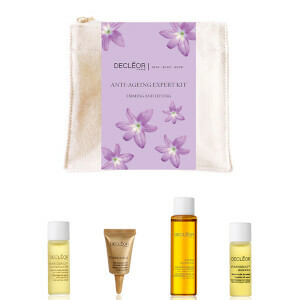 Suitable for normal to combination skin. Applicera på morgonen på rengjord hud i ansiktet och på halsen. Aqua / Water, Glycerin, Cyclohexasiloxane, Cetearyl Ethylhexanoate, Alcohol Denat, Ammonium Polyacryloyldimethyl Taurate, Caprylic/Capric Triglyceride, Dimethicone, Isopropyl Myristate, Phenoxyethanol, Chlorphenesin, Dimethiconol, Triethanolamine, Madecassoside, Salicylic Acid, Xanthan Gum, Viola Tricolor Extract, Disodium EDTA, T-Butyl Alcohol, Moringa Oleifera Seed Extract, Maltodextrin, Crithmum Maritimum Extract, Citrus Aurantium Amara Flower Oil / Bitter Orange, Flower Oil, Sodium Hyaluronate, Ethylhexylglycerin, Parfum / Fragrance, Butylphenyl Methylpropional, Hexyl Cinnamal,, Citronellol, Linalool, Alpha-Isomethyl Ionone , Benzyl Alcohol, Limonene, Geraniol.